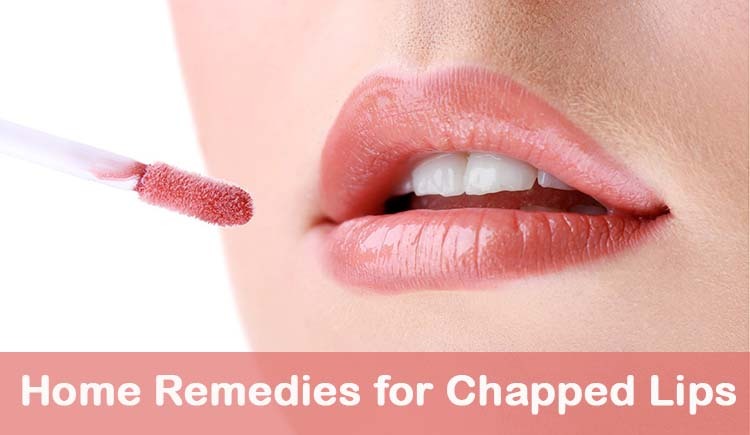 Chapped lips are a very common skin problem, especially in cold, dry winter. When the lips becomes extremely dry they can be very painful and uncomfortable as they disturb many daily activities, like eating talking with someone, smiling. Common signs of chapped lips include redness, dryness, sensitive, cracking, splitting, peeling, and pain. It is essential to keep lips soft and moist. Rub aloe vera juice, cucumber juice, neem extract on your dry lips. You can also try applying clarified butter or milk cream at night and leave overnight. Crush rose petals in glycerin or in milk. Make a paste and apply this on your lips. This helps to retain the pink color of the lips and also the lost moisture. Put some honey on your lips and let it dry for few seconds. Then apply some vaseline or petroleum jelly on top of the lips and leave for 10-15minutes. Finally use some warm water to remove the honey and vaseline. Do this for a week once in a day and you will get rid of chapped lips. Apply a small amount of coconut oil to the lips many times a day. Particularly when the weather is cold. As the moisture content is less then only mainly we can see dry lips so drink lots of water in a day.